This pretty turquoise gemstone ring is made of a wide sterling silver band shaped to a diamond shape on the front where the stone is soldered. Size is a 6 1/2. 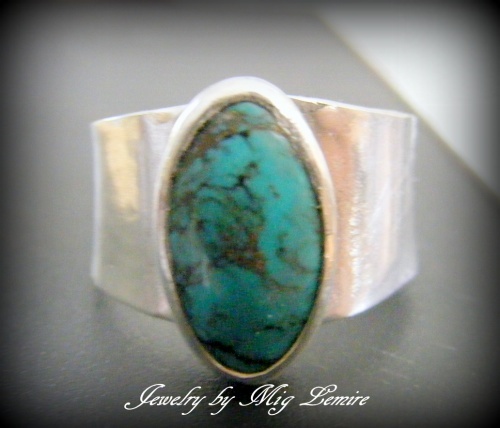 This ring can be made with a similar stone in your size just email or message me with request.